Assassin's Creed: Brotherhood will have one of the largest cities yet. Assassin’s Creed: Brotherhood will have one of the largest cities yet. 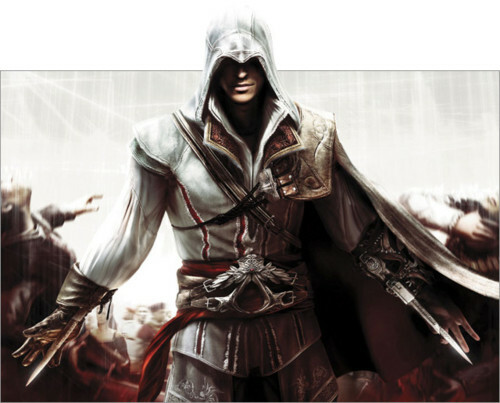 Assassin’s Creed, a name that has been forever pushed into our memory by the legendary game Assassin’s Creed 2 a game which tells the story of betrayal, revenge and even a little bit of mystery thrown in at the ending of the game. While Assassin’s Creed 1 was decent it became rather repetitive very quickly but all was forgiven when Assassin’s Creed 2 delivered such as an amazing story line. The game was initially a console exclusive but later on it “targeted” the PC gamers too and they also got to experience the thrill of one of the greatest Assassin Simulators alive. Assassin’s Creed Brotherhood picks up where the end of 2 left us, this time we are in beautiful Rome,Italy CVG reported that they got a taste of Brotherhood at Gamescom. It has been told that the Rome will be 3 times the size of Florence and will include the famous sights of Rome such as the Coliseum and the Vatican all of which will be rendered in detail. I for one can not wait for this game, with improved storyline and even a multiplayer mode thrown in this game will definitely make news when it releases. Let’s hope it stays on track and doesn’t get delayed to next year!